Market Outlook - June 2016 | Rocco & Associates Wealth Management, Inc. This June is the anniversary of the economic expansion that began in June 2009, which is already the fourth-longest economic expansion since the end of World War II, and also the most sluggish and unloved. Economic data point to an economy in little danger of falling into a recession, but that is still experiencing below-trend growth. The initial estimate for first quarter 2016 real gross domestic product (GDP) growth came in at an annualized 0.5%, bringing the year-over-year growth rate to 1.9%. This pace of growth is well below the long-term average (2.5-3.0%) and one of the reasons why the expansion still feels like it’s in recovery even seven years later. But because growth in the labor force and productivity have slowed dramatically over the past few years, so has the potential for GDP growth, as these two factors determine the maximum rate of growth for the economy. That’s why economic growth of only around 2% is enough to tighten the labor market, push up wages, and ultimately, generate inflation. One area of economic strength over the last few years has been job growth. Yet recent data have indicated that job growth may be slowing down. This past Friday (May 6, 2016), the Bureau of Labor Statistics released its Employment Situation report for April 2016. The economy added 160,000 jobs in the month-well below the 200,000+ average monthly gain since the economy began regularly creating jobs again in 2010 following the Great Recession. Despite the drop, the job market was still strong enough to hold the unemployment rate steady at 5.0% and push wages higher. Thus, even the modest economic growth of the past several years has been enough to increase wages as we approach the long-term expected rate of unemployment. Despite recent weaker economic data, equity markets have been displaying some optimism about the prospects of corporate America. The S&P 500 is sitting in positive territory for the year as of mid-May and is about 3% off all-time highs. The tremendous comeback after the 10% correction in the S&P 500 in January and early February has been driven by easing recession fears, due, in part, to a rebound in oil prices, a weaker U.S. dollar, improving credit conditions, and more prudent policy choices (and better economic data) out of China. First quarter earnings season also helped investor sentiment, with a solid 75% of S&P 500 companies beating expectations, making consensus expectations for a solid second-half rebound in earnings more credible. 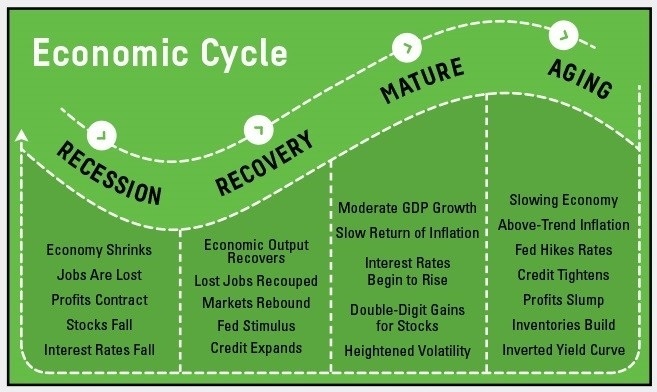 Looking ahead, markets will likely be focused on several upcoming macroeconomic events. None of the world’s major central banks (Federal Reserve [Fed], European Central Bank, Bank of Japan) took additional policy actions in their April meetings, setting up another key round of meetings in early to mid-June. We expect the Fed to stand pat in June, with one or perhaps two rate hikes likely by year-end. Markets are already looking ahead to the next meeting of the Organization of the Petroleum Exporting Countries (OPEC) in early June, as oil prices hover in the low $40 per barrel range (up from the mid-$20s in early 2016), which could drive oil volatility. June also brings the United Kingdom vote on whether to stay in the European Union (EU), the so-called “Brexit.” Most markets appear to believe that the U.K. will vote to remain in the EU, but public opinion polls show a close vote, introducing a potential wildcard for markets in the next month or so. Finally, with leading candidates strengthening their holds on their respective nominations, the U.S. presidential election season is right around the corner and, as always, bears watching. These events, and others, will continue to warrant close attention and may lead to another bout of stock market volatility. It is during these periods that maintaining a long-term perspective and staying committed to a well-formulated financial plan take on greater importance. As always if you have any questions about you plan and if it is on track, do not hesitate to reach out! Securities offered through LPL Financial LLC. Member FINRA/SIPC. Investment advice offered through Strategic Wealth Advisors Group, a registered investment advisor. 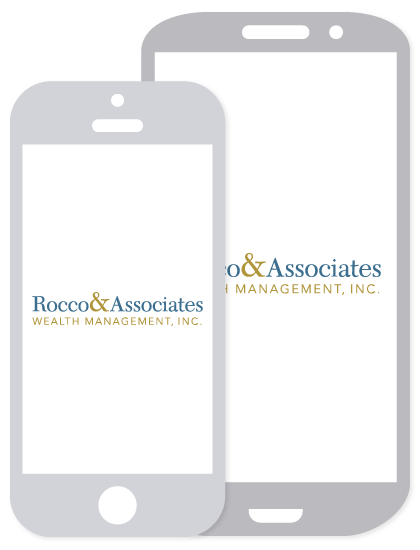 SWAG and Rocco & Associates Wealth Management are separate entities from LPL Financial.